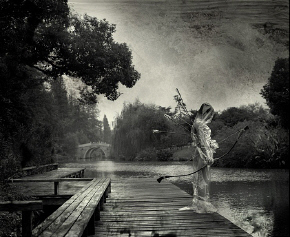 Fantastic-surreal photography from Chinese photographer Meleonn Ma. (Flash required). I looked for his work online last autumn, but could find nothing; so it’s nice to see an abundance of big images arranged in comprehensive galleries. Pig Mag blog has an English-language interview with Ma.